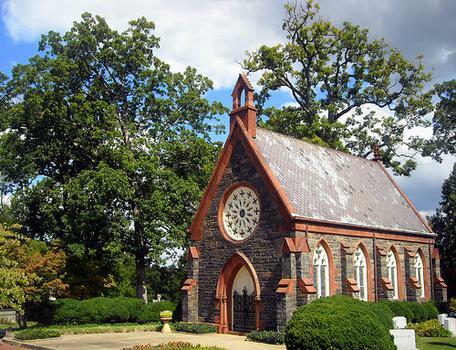 The Gothic chapel and gates were designed by the same architect who designed the Smithsonian Castle. The Gothic chapel and gates were designed by the same architect who designed the Smithsonian Castle. It was the original resting place of Abraham Lincoln's son, Willie, before he was reinterred with his father in Illinois, as well as other figures. In addition to being a cemetery, it is also a botanical garden well set for a leisurely walk.